FatCow is a web hosting provider for small businesses. Its features include a website and online store builder, analytics tools, 24/7 phone and chat support, and more. We compiled FatCow reviews from our website and around the web and determined that it has a mix of positive and negative ratings. We also shared its available pricing options. Users who gave FatCow a positive review commended the platform for providing great uptime and website performance. They also said that the web hosting service is easy to use — especially for beginners. Users who gave FatCow a negative review said that they encountered difficulties when they migrated their site from their previous hosting provider to FatCow. They also complained about poor customer and tech support. A user who left a negative review of FatCow on Web Hosting Geeks said that the platform is easy to navigate — especially for users without technical experience. He also noted that the service is suitable for users who want to run a simple but high performing website. A user who left a negative review of FatCow on Web Hosting Search said that the support team is incapable of fixing many common problems. He added that it took him two weeks to migrate his websites to the system and that he had trouble asking for help from the support team. 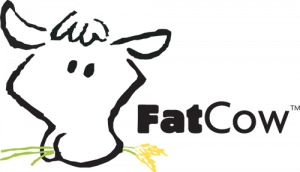 FatCow has only one shared hosting option ranging from $4.08 for the monthly pricing to $49 per year on 12, 24, and 36-month contracts. FatCow has bulk billing for each plan, except for its monthly plan. It includes an extensive array of features such as unlimited data storage, bandwidth, and email accounts. FatCow waives setup fees and includes a free website builder, web analytics tools, and FTP access. The plan also comes with free marketing add-ons including $100 worth of Google Adwords credit and $100 worth of Bing credit. All subscriptions come with a 30-day money back guarantee. What is the difference between the initial pricing and renewal rates? FatCow’s initial pricing are only available to new customers and are valid for the initial term only. This means that the longer your initial contract is, the longer you will be able to take advantage of the low rates. Regular rates will then apply upon renewal. How does FatCow’s 30-day money-back guarantee work? Customers who are not satisfied with FatCow can get a full refund of their hosting fees if they cancel their plan within the first 30 days. However, there is a non-refundable $15 domain fee to ensure that the customer would not lose their free domain registered with FatCow. Is FatCow’s money-back guarantee applicable to all payment methods? No. FatCow’s money-back guarantee is only applicable to payments processed using credit cards. Not sure if FatCow is the right fit for you? Read our reviews of all top web hosting providers or check out one of these three FatCow alternatives. Their user interface is simple and clear. I love that you can connect your Google account to avoid signing in. Their price structure is also great in that it is simple–unlimited space, unlimited bandwidth, single price. FatCow really needs to do a better job of telling you what your renewal rate will be. They offer a wonderful price for new accounts, but they don’t communicate the renewal rates as well as they should. To be fair, when I called to complain, they have excellent customer service who worked with me to come to a mutually beneficial arrangement. I just wish that I had known ahead of time. How high the renewal subscription was going to be.